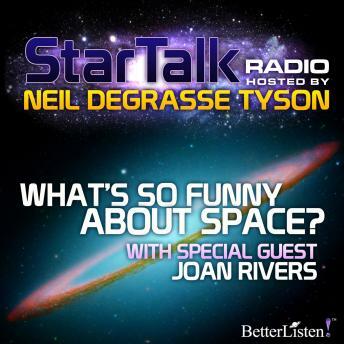 What's so funny about space and science? Our season finale features the incomparable comedian Joan Rivers. In this episode, she provides color commentary for a Red Carpet parade of previous show topics, including space tourism, the anniversary of Apollo 11, and the search for alien life (both in space and in Hollywood).